Patients who have a stroke often receive medications to prevent a recurrence. Researchers are using medical records and new patient-reported data to examine the benefits and risks of these treatments. May 2017—As PCORI-funded studies produce results of interest to patients and those who care for them, we are updating the stories of those projects. Here is one such update. Sometimes information collected in a study can yield insights beyond the original research questions. A PCORI-funded team has been looking at the effectiveness of medications prescribed after patients treated for a stroke left the hospital (see original feature below). The researchers are using data accessed from medical records on nearly half a million people treated for stroke. Recently, however, the team has looked at the information from another angle and learned that before their strokes, a surprisingly low number of the patients had been taking stroke-preventing medications. National guidelines recommend that people who have atrial fibrillation, the most common type of irregular heartbeat, take medications to reduce their chance of having a stroke. But the PCORI-funded study has now shown that more than four-fifths of patients who have atrial fibrillation and go on to have a stroke were not on appropriate doses of these treatments beforehand. A substantial number of strokes may be due to underuse of or inadequate anticoagulation in atrial fibrillation. Xian Y, O'Brien EC, Liang L, et al. The link between atrial fibrillation and stroke is that the irregular heartbeat can make blood pool and form clots that block blood flow, which can deprive the brain of oxygen. At least 2.7 million people in the United States have atrial fibrillation, and their risk of stroke is five times as high as that of other people. Studies have shown that certain clot-preventing medicines—namely, the widely used warfarin and novel oral anticoagulants (NOACs)—lower that risk. 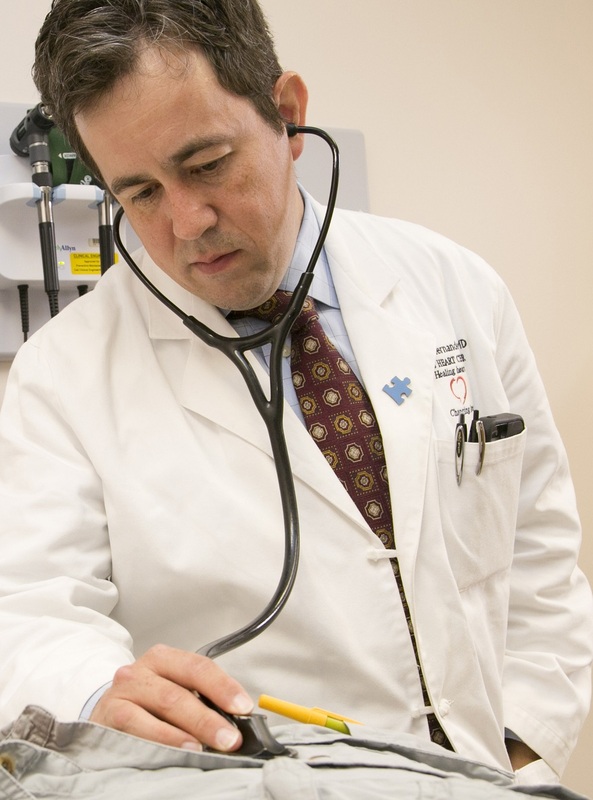 Adrian F. Hernandez, MD, MHS, and his PCORI-funded team at Duke University recently reported in JAMA that, among 94,474 patients who had atrial fibrillation and experienced a stroke, just 30 percent had been taking the medications to prevent blood clots, and only about half of those had been taking appropriate doses. What’s more, people who had been taking the appropriate dose of preventive medicines tended to have milder strokes and a lower risk of dying while hospitalized for the stroke. The results of the new analysis surprised the team. They had expected more patients with atrial fibrillation and strokes to be taking anticoagulants as preventive medicine. Unfortunately, most of the patients who were not taking anticoagulants had no information in their medical records about why. The finding came out of the larger study called PROSPER, or Patient-Centered Research into Outcomes Stroke Patients Prefer and Effectiveness Research. Looking at treatments after stroke, the study found, for instance, that patients who took warfarin average 48 more days at home over the following two years than people who didn’t get a prescription. Time at home—the number of days patients spend out of the hospital—was an outcome patients had told the research team that they felt was an important measure of their quality of life. The researchers are continuing to analyze their data and expect soon to report results comparing different anticoagulants’ impacts on patient outcomes. Every year, around 800,000 people in the United States have a stroke, and many end up disabled or needing additional medical care. What’s more, about one-quarter of patients who’ve had one stroke have a recurrence, so doctors often prescribe one or more additional therapies to prevent later strokes. Although there have been previous studies on such medications, better evidence is needed about which ones work best for which patients. “Every day, patients who leave the hospital after a stroke are uncertain about the right treatment for their individual case,” says Adrian F. Hernandez, MD, MHS, a cardiologist at Duke University and the Duke Clinical Research Institute. Data are particularly scant for certain types of patients, Hernandez says, including older people, women, and members of racial and ethnic minorities. In addition, previous research has tended to overlook some outcomes patients care about strongly, such as mood, energy levels, and the ability to work. “There’s not enough information available to providers or patients about what’s really important in recovery,” says Lesley Maisch of Buffalo, New York, who had a stroke seven years ago. In a PCORI-funded project that aims to fill some of the gaps, patients’ input convinced researchers to focus on an outcome that they hadn’t previously considered. To learn which treatments work best for which patients after a stroke, the Duke research team is taking advantage of information already collected on the nearly half a million people who were treated for stroke at 190 hospitals between 2003 and 2012. The analysis will also include reports on disability, depression, and quality of life provided by telephone interviews of 3,000 of the patients in the database. Information that’s more detailed will come from a survey of 2,000 additional stroke patients. The study is called the PROSPER (Patient-Centered Research into Outcomes Stroke Patients Prefer and Effectiveness Research) project. The research team, which includes Hernandez as the Principal Investigator and Maisch as a patient partner, is looking closely at three types of treatments commonly prescribed after stroke. One is blood thinners, or anticoagulants, intended to help prevent another stroke. In the study, the widely used drug warfarin goes head-to-head with newer anticoagulant medications that have not been investigated as thoroughly. Cholesterol-lowering drugs (called statins) are also prescribed to prevent future strokes. The research team is evaluating benefits and side effects of various doses. Doctors also may prescribe antidepressants because depression is common among stroke survivors, and research has linked it to higher mortality. The research team is examining whether these medications improve length and quality of life. Analyzing data previously collected during medical care, as PROSPER is doing, may not give the same results as carefully controlled clinical trials do, Hernandez says. But the results could be more applicable and relevant to a broad array of patients, including older people who are likely to have medical problems in addition to stroke. Many stroke patients have other conditions, but clinical trials often exclude such patients. “Patients were involved in the project from the outset,” Hernandez says. Because of patients’ perspectives, the research team made a fundamental change in which treatments to test. “Beforehand, the clinical investigators had been interested in clot-busting drugs used at the time of stroke, but when we spoke with patients, concern about poststroke depression came up more,” Hernandez says. So, the study looks at antidepressants. Three patients, including Maisch, became members of the study’s steering committee, helping develop the proposal and subsequent study. Through focus groups, the researcher team realized that patients place particular importance on “home time”—the number of days they spend out of the hospital, Hernandez says. This measure reflects quality of life, length of survival, and recurrence of stroke. The research team is measuring home time as its primary outcome in evaluating all three types of treatment. Results of the study have begun to emerge. The team has published articles on the risks and benefits of statins and warfarin. For example, compared with patients who did not get a statin prescription after stroke, those who took statins experienced 28 more days of home time over two years. The research team found similar outcomes for patients on higher doses and lower doses of the statins. In the case of warfarin, a study of stroke patients who also had a heart rate problem called atrial fibrillation found a benefit to the medicine. Those who received a warfarin prescription averaged 48 more days of home time over two years than those who did not receive the prescription. Warfarin was beneficial for a wide variety of participants, including women, patients older than 80, those who had the most severe strokes, and patients with additional medical problems. The ultimate aim of PROSPER is to funnel findings into tools that will help patients and caregivers make informed decisions about treatment and self-care, based on individual characteristics, values, preferences, and needs. Goal: Using new and existing data on the risks and benefits of anticoagulant, statin, and antidepressant therapy to develop a tool that will help poststroke patients choose treatment best suited to their individual characteristics and preferences.